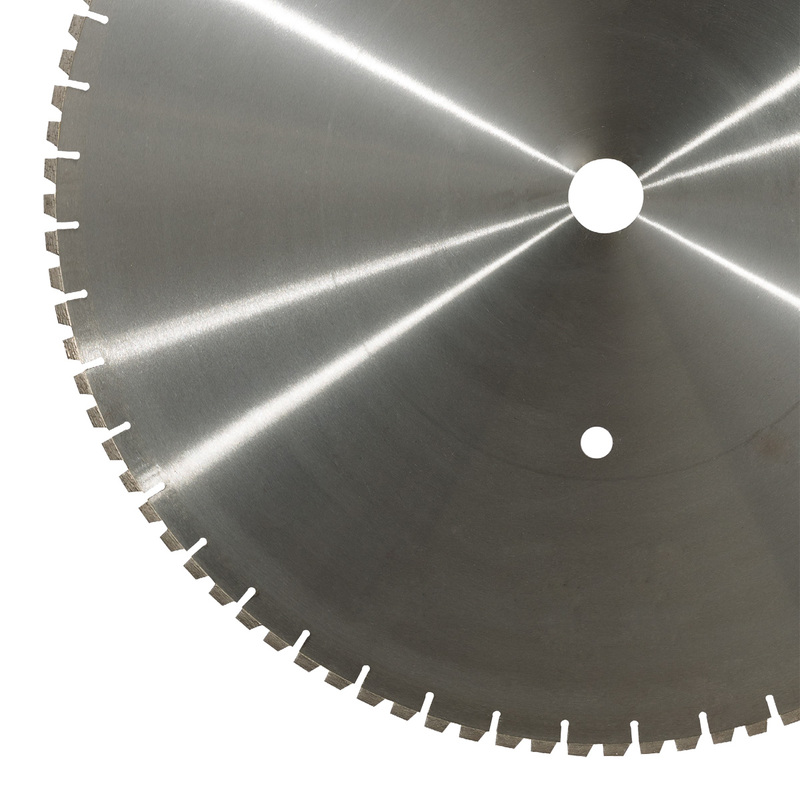 This floor cutting blade is designed to be assembled on machines with high power, over 18 kw. This blade is worked out for hard works on highly reinforced concrete. Production of diamond segment named “sandwich” guarantees the tool steadiness while cutting and a lower effort for the machine.